SoulTrackers know that we’ve been following and enjoying the versatile group SounDoctrine for awhile now. We’re getting ready for the upcoming release of their fourth album, Source, but we were happy to get another sneak peek this week with the third advance single from the album. 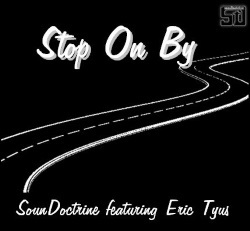 “Stop On By" rewraps a Bobby Womack with the fiery guitar of newcomer Eric Tyus. The song was produced by group leader Jere B and also includes bassist Dylan Waters, Trumpet and synth by Frank Walton, Mitch Lawrence on saxophone and Seven Hykoo’s vocals. Check out “Stop on By” and get ready for Source, coming soon!